Anyone who’s been following this blog over the last couple of years, knows that until three years ago I never tasted fish during the first 6 decades of my life, however, when I finally was trapped into tasting them… I found it a great culinary experience. It showed me what I’ve been, unnecessarily, depriving myself of! Crushed prestzels are a welcoming change from the basic breadcrumb topping. They add a nice cruch and a salty flvor, balancing the simplistic flavor of flounder. In a shallow bowl, using a fork, combine egg, mustard, milk and pepper. on a large piece of plastic wrap separately place flour and pretzels . Coat fish with flour, dip fish into mustard mixture. Dredge fish in crushed pretzels to coat both sides well. In a large skillet, over medium high flame, heat oi. Cook fish in batches for 3 to 4 minuteson each side or until golden brownand fish flakes easily with a fork. Serve hot and garnish with lemon slices. My uncle once told me a funny story: about forty years ago, he once set out to make a recipe that called for capers and he thought that he would use fresh, rather than something from a jar. He looked and looked and looked and couldn’t find fresh. He could only find the pickled ones, which he later realized were how capers were prepared and sold. And now, every time I open a jar I think of his story. I like a little bit of chopped capers in my egg salad, or something a bit vinegary. You could also use some chopped cornichons or pickles – and their juice – in place of the capers. You can use any kind of pepper powder that you want. Note that if you use a red one, it will turn the color of the egg salad a somewhat fiery shade of red. Peel the eggs and chop them into pieces. Mix the eggs in a bowl with the mayonnaise, mustard, capers, caper juice, pepper, and a good sprinkle salt. If desired, add the sunflower seeds. 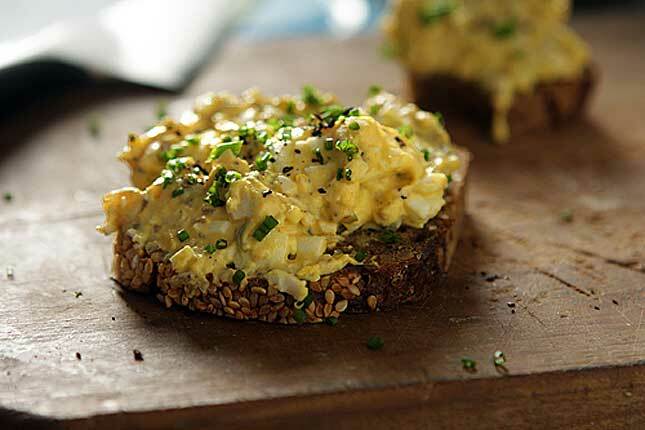 To serve, spread on toasted grainy bread, then garnish with additional salt, pepper, and some chopped chives. A Canadian company, Soyummi Canada, produces a line of gluten free, dairy free, low fat puddings. With purified water and organic whole beans as their main ingredients, Soyummi products come in five flavors: Dark Chocolate, Tapioca, Rice, Cherry and Lime.And… they are all vegan, as they are egg free, and have a natural prebiotic, a source of dietary fiber. I recently came across these products at a local supermarket, where I picked up two flavors: Dark Chocolate and Tapioca. 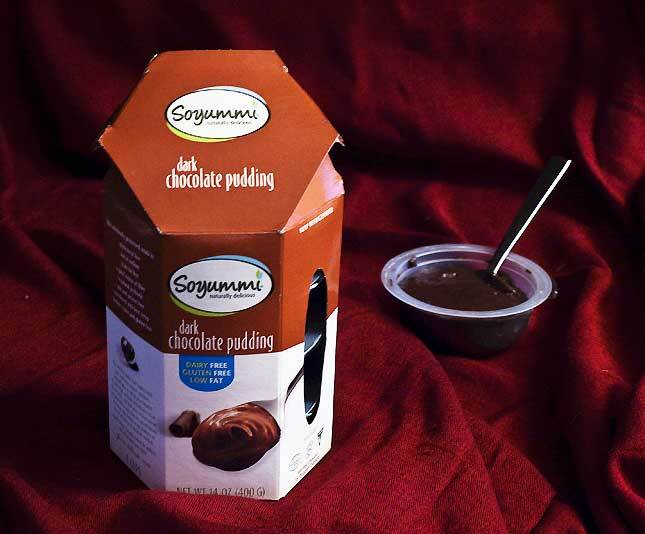 In April of this year, their Dark Chocolate and Rice puddings were both nominated for the 2010 Canadian Grand Prix New Product Award in the dessert food category, and on June 15, 2011, the Dark Chocolate pudding won second place in this contest. Also, in 2003, the original Soyummi Classic line won first prize in the same category. Aside from being kosher certified, these products (certified organic and vegan) are healthy and delicious, made from all natural ingredients. What could be better for you or the kids? A recipe need not be elaborate to make a tasty dish, especially in these hot days, there is no need to spend a long time in the kitchen. Here’s One of my favorite ways to prepare a simple but delicious pasta and it’s great for the Nine Days or anytime. In a large pan boil some lightly salted water. 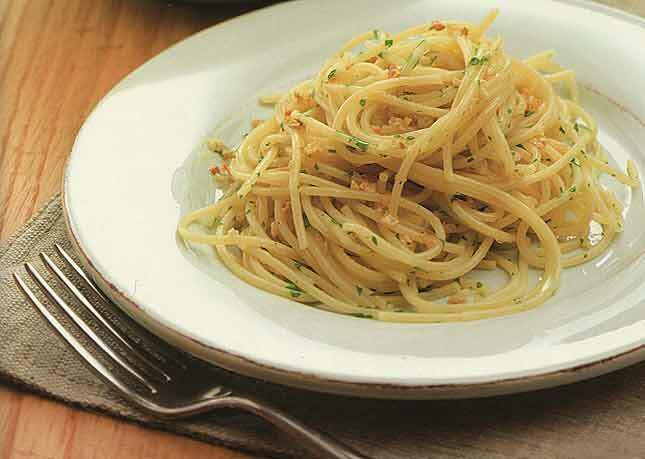 Add the spaghetti and boil again, cook for 8 – 9 minutes or until tender but still a bit resistant to the bite (al dente). For a bit more color and an extra kick in taste, sprinkle sparingly with chili pepper flakes. Easy to make and truly delectable. Sometimes, when the mood strikes me, I’ll add some finely grated parmeggiano and will then skip the chili pepper flakes. I learned at a very tender age that “Have it, it’s good for you!” would inevitably refer to something that tasted very bad. Fast forward a couple of decades (OK, OK so it’s more than that, I confess, I confess!) 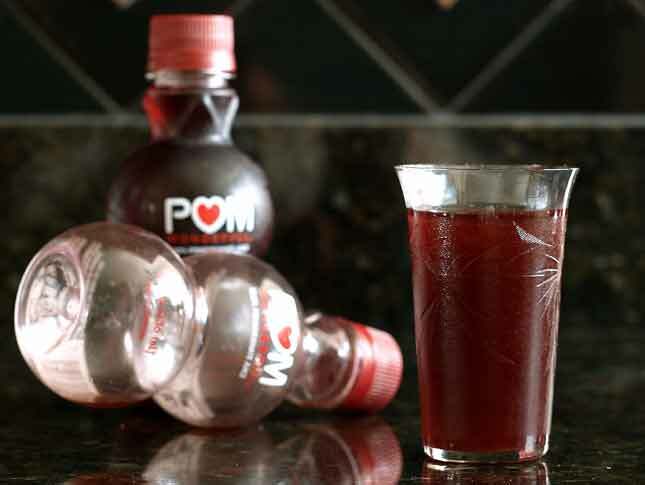 and I’m a fan of Pom Wonderful because it’s actually “good for you,” delicious and refreshing. Pomegranate juice has a great concentration of antioxidants, various studies say it is similar to red wine, purple grape juice and black tea. Preliminary research has shown that it may reduce the danger of various types of cancer, it may reduce serum cholesterol and protect arteries from clogging. In the summer I like it as an ice cold drink, but it is a very popular ingredient in Middle Eastern and Mediterranean cuisine. It is also used as a marinade for grilled meats. 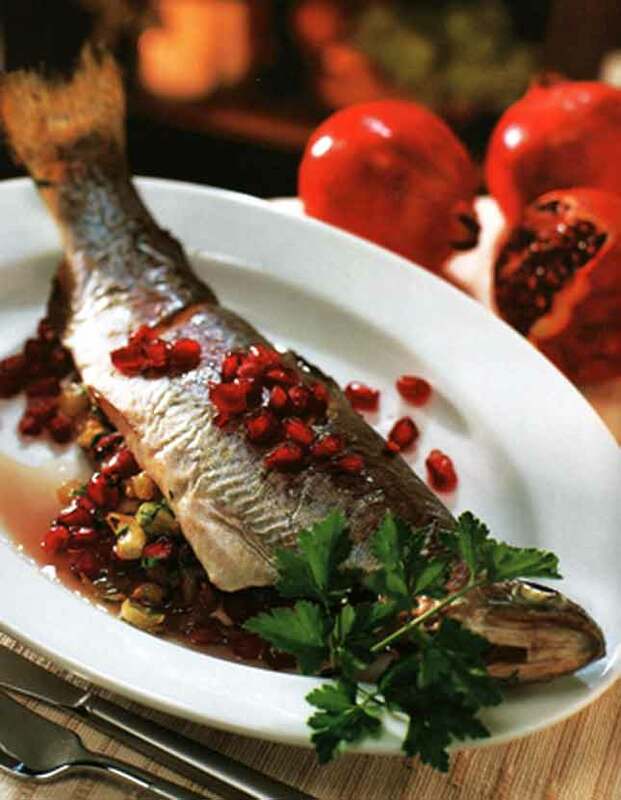 Since we are in the Nine Days and meat may not be eaten, I thought it appropriate to bring you a delicious fish recipe, which I adapted from Perfect Jewish, by Elizabeth Wolfe-Cohen, published by Parragon Books. Photo from: Perfect Jewish, page 106. - Copyright by: Parragon Books, Ltd.
Preheat the oven to 400 F. Prepare the stuffing. heat 1 tablespoon of the oil in a medium skillet over medium high fire. Add the onion and cook for 3 – 5 minutes, or until beginning to soften. Stir in the garlic and cook for an additional minute. Stir in the pistachios, cardamon, POM Wonderful and the remaining oil. Season to taste with salt and pepper. With a sharp knife, slice off the top of the pomegranate. Cut the thick skin into 6 wedgesand pull apart into sections. Carefully scoop the seeds into a small bowl, removing the skin membranes and reserving any juice. Add about three quarters of the seeds to the stuffing and stir to combine. Oil a shallow baking dish large enough to hold the fish. Season fish to taste with salt and pepper, inside and out. Cut into the fish’ skin diagonally 2 to 3 times on each side. Spoon one quarter of the stuffing into each fish. Arrange in the dish. Drizzle with the melted margarine. Bake for 15 minutes, or until the flesh flakes when pierced with a tip of a knife. Transfer to a serving plate. Sprinkle with the remaing pomegranate seeds and juice.